Who doesn’t want to be a kid forever and go to Neverland? For NEWS’s 2017 album release on March 22nd, 2017, they chose “Neverland” as the theme and made it unique to them, complete with a steampunk feel. 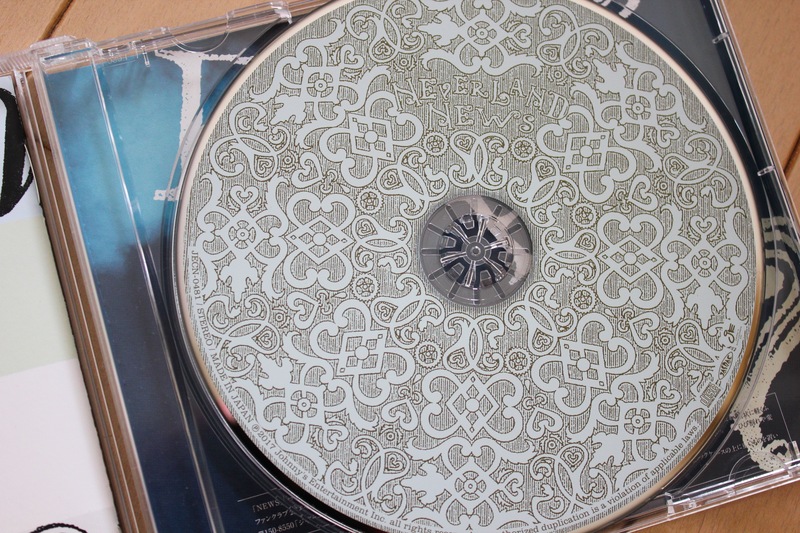 The album is a fusion of narration and regular songs. 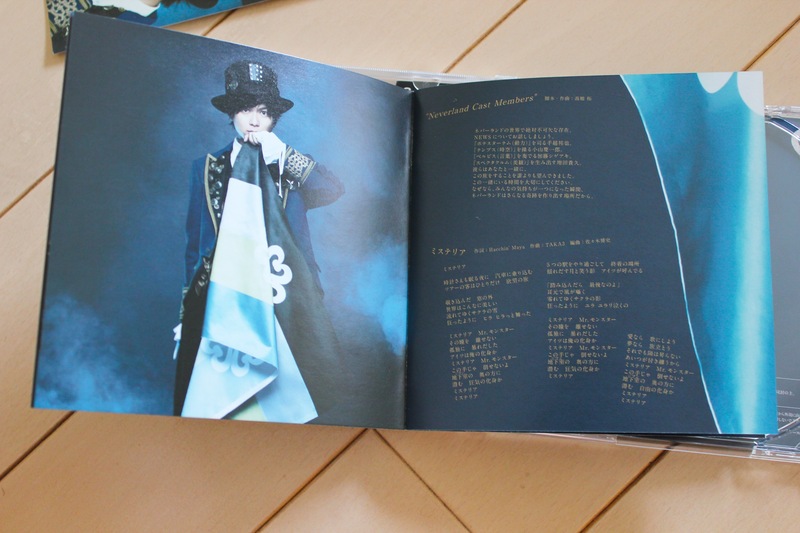 The songs themselves don’t follow a particular pattern or genre, except for the title song “NEVERLAND” and the final song written by GreeeeN “U R not alone”. 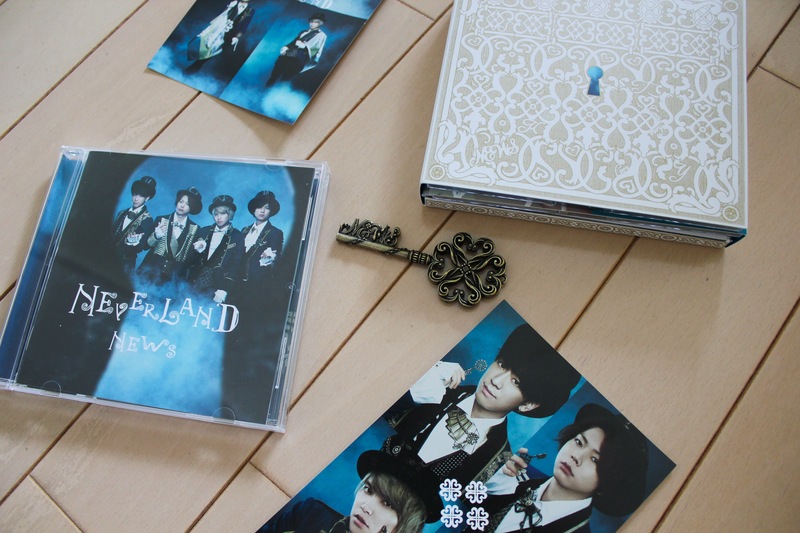 The narration takes you through NEWS’s NEVERLAND and introduces different parts to it, such as the jobs that the members of NEWS have in NEVERLAND, the 7 elements that make up NEVERLAND, and how to enter into NEVERLAND. 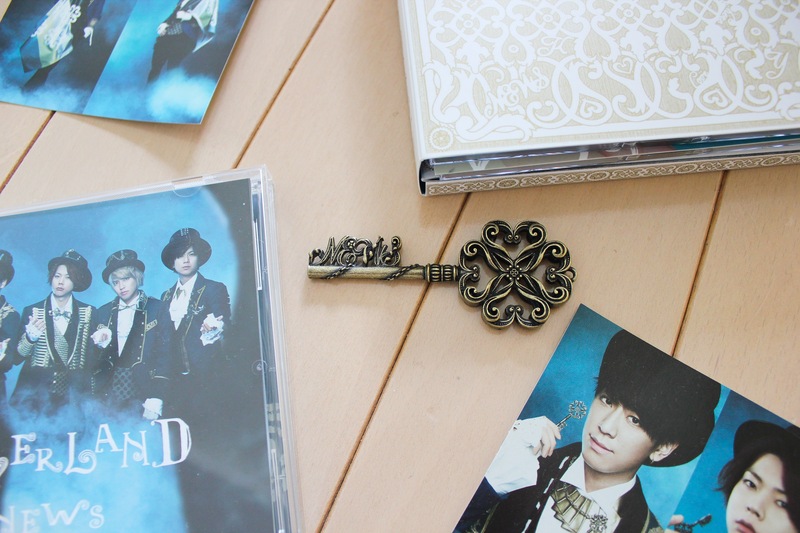 The album serves as an introduction to and the base of their 2017 tour NEWS LIVE TOUR 2017 NEVERLAND, in which they continue the theme through. 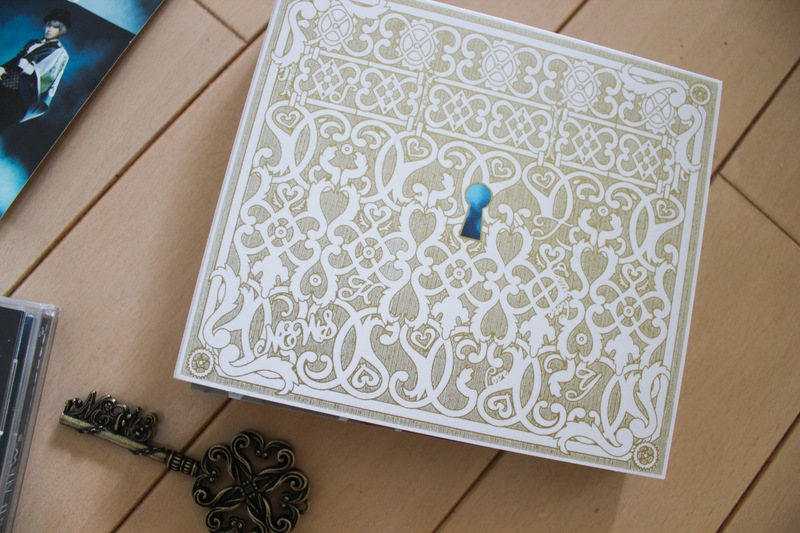 -28 page booklet with special packaging. 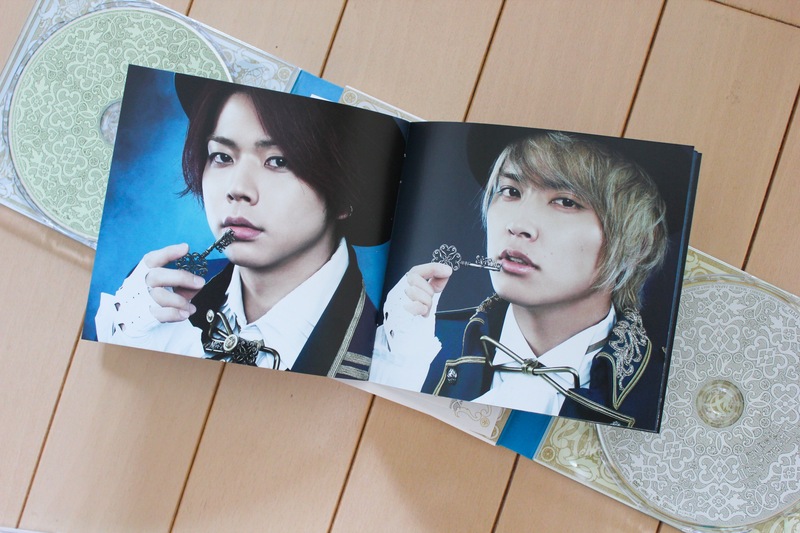 -DVD disc containing 「NEVERLAND EPISODE. 0」and the making. The title song of the album. This one has a strong impact with the tribal like sounds fused with an almost Arabic like sounds, combined with the tempo changes. The one part that I don’t like is the little children chanting the 7 different elements in the middle of the song, as I think it looses the strong impact but I understand that they probably wanted to speed up and slow down the song a lot and have a variety of that. This was NEWS venturing into a more dance/ club music like genre. I like how it wasn’t really intense, but it had a really catchy beat. Every time I hear this song, I want to get up and dance! Though it was a bit fast, the lyrics were really easy to remember because of the beat of the song. Both this one and “Silent Love” I could envision being played in a club or being used for dance choreography. This has to be my second favorite song on this album besides “U R not alone”. Though I don’t know the genre of this song, it is a genre that has been popular over the past year or so around the world, so it was nice to see NEWS incorporating that into their music. I think it’s the chorus that really makes this song, combined with the light rap by Massu. Written by GReeeeN for NEWS, I thought this song was one of the most impactful songs on the album. I have a translation of it here on my blog, so if you want to hear more on my thoughts about it, click here! All the feel for this song… all the feels. 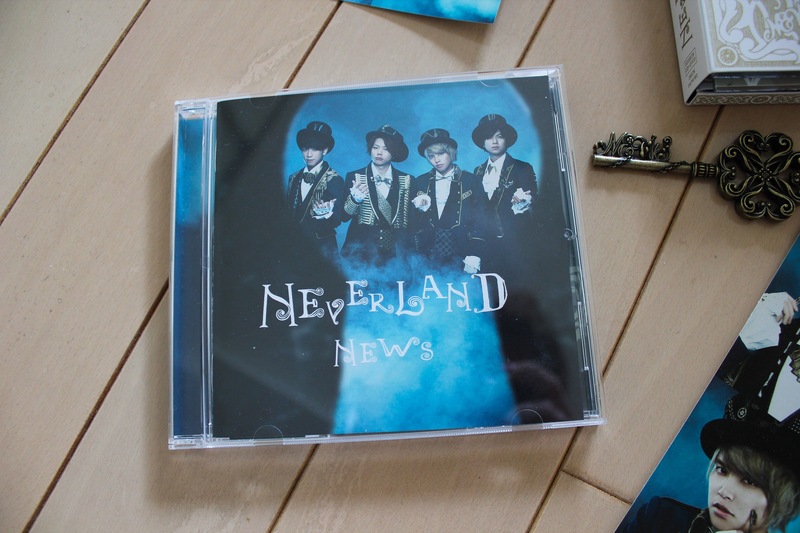 “NEVERLAND” has been one of my favorite NEWS albums since their “NEWS” album in 2013. 2016’s “QUARTETTO” had a theme going on, but I thought they didn’t quite take it all the way through the album, to the tour, etc. This year with NEVERLAND though, they stepped it up and took the entire theme through the album, to the tour and really immersed the fans into their version of “NEVERLAND”, which turned out to kind of be a combination of Neverland and Wonderland, I thought. (Yes NEWS, there is a difference between Neverland and Wonderland.) Though the theme wasn’t perfect, I liked how the narration on the album told us a story about the world and then fully immersed us into it during the tour. After a while, I stopped listening to the narration parts of the album because I knew them by heart, but for theming purposes I thought it was amazing. Johnny’s always does an amazing job of theming and I hope that NEWS will continue to do themed albums like this every so often! For the solo songs this year, I wasn’t too impressed overall. Shige’s “Ayame” performance during the tour was amazing, but as just stand alone music none of them really captured my attention like previous years. Tegoshi’s “I’m coming” was a bit of a surprise and the first time I heard it I literally spit my tea out while I was drinking it thinking “So it REALY was THAT meaning….are children really going to come see this live? ?” (I swear I am not a prude, I was just generally surprised at the different direction that Tegoshi was going in this year.) Massu also took a different direction this year with his cover of “Forever Mine” which was beautiful and really showcased his singing abilities, but I miss his dance songs (as I tend to gravitate towards dance music and more upbeat music naturally… unless its “White Love Story”… I will forever love and cry at that song. No shame.) So, if I had to pick a favorite this year it would be Koyama’s solo “Nyanta” because of the light rock feel to it and the theme of his song, which was hit cat of 19 years, who passed away in December of last year. What did you all think of this album this year? Let me know in the comments below! i watched Neverland in Fukuoka and Sendai *my first Arena Con for Johnnys ~ feels small and close! >.< so HAPPY!! !